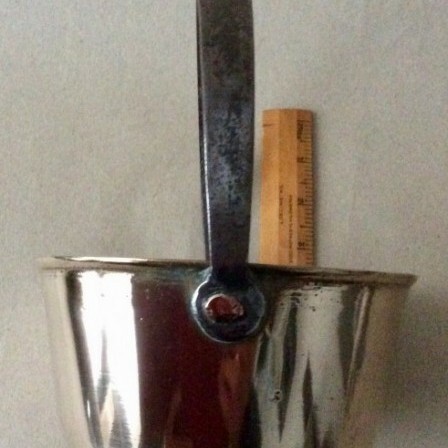 Antique small fixed handle brass jam pan 6inch diameter. 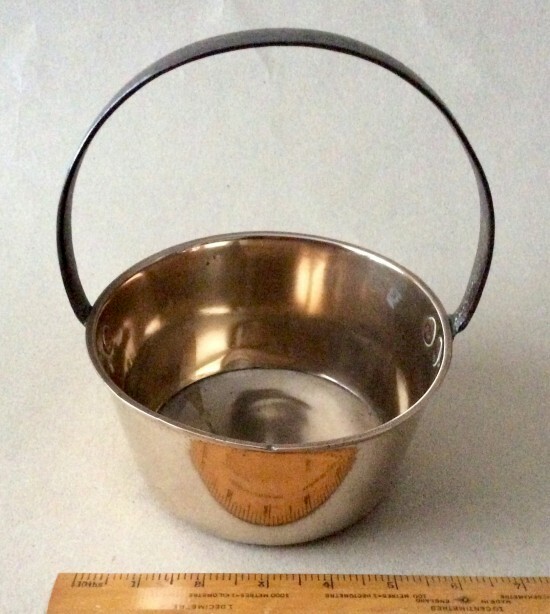 Description: Small brass jam pan with fixed wrought iron handle. Clean condition. No repairs. 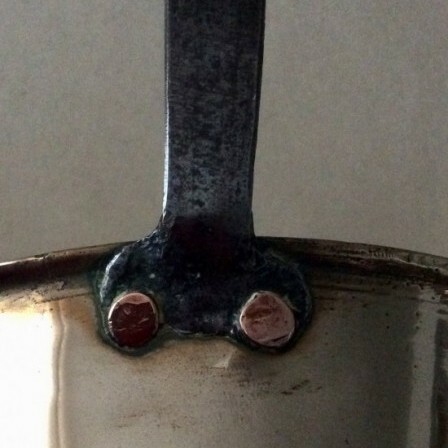 The handle attached with copper rivets..
Dimensions: Max width 17.1cm, max height 19cm. Diam pan top 15.3cm, bottom 12cm. Height pan 7.7cm.